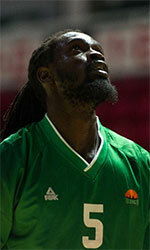 Al Arabi Club Doha (D1) confirmed in their roster 30-year old Senegalese center Oumar Seck (208-88). He is the second import player in the roster as USA Dalan Ancrum signed here earlier. Seck played there last season. In 20 D1 games he had 12.5ppg, 13.2rpg (#2 in the league), 3.0apg and 1.1bpg. Seck helped them to win the league title despite they ended the regular season at the second place. A very impressive season as he was named to Asia-Basket.com All-Qatar D1 Honorable Mention and League Player of the Week. The previous (16-17) season he played at Al Sadd where in 8 D1 games he recorded very remarkable stats: 16.0ppg, 17.1rpg, 4.0apg, 1.9spg and 1.4bpg. 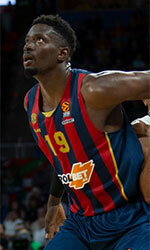 Seck has played also professionally in Bahrain (Al-Najma), Kuwait (Al Sulaibikhat) and Qatar (Qatar Sports Club).